No top-notch college is quite right without its iconic stash. 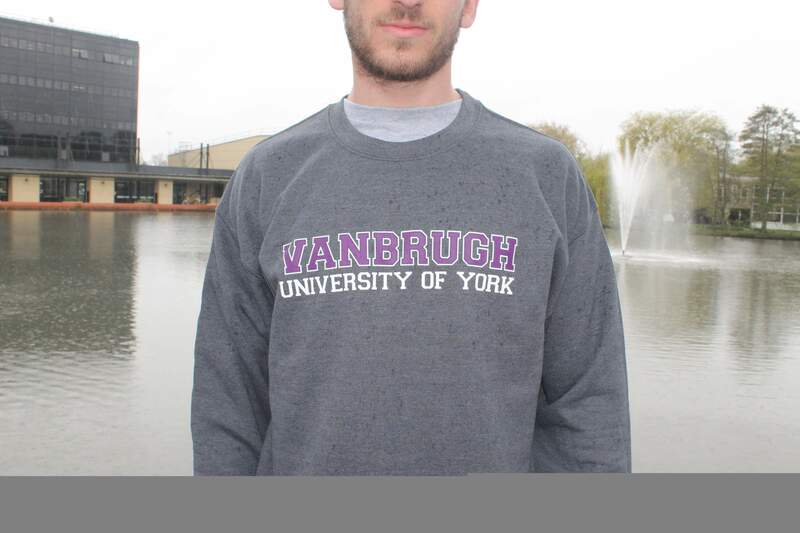 As you walk across Vanbrugh College and York, no doubt you’ll see swathes of the classic college jumper emblazoned with purple writing. So how do you get your hands on this vital patriotic armour? Currently, the JCRC opens Old Vanbrugh Reception, in the Vanbrugh Nucleus across from the Junior Common Room, every Thrusday between 5-7pm. 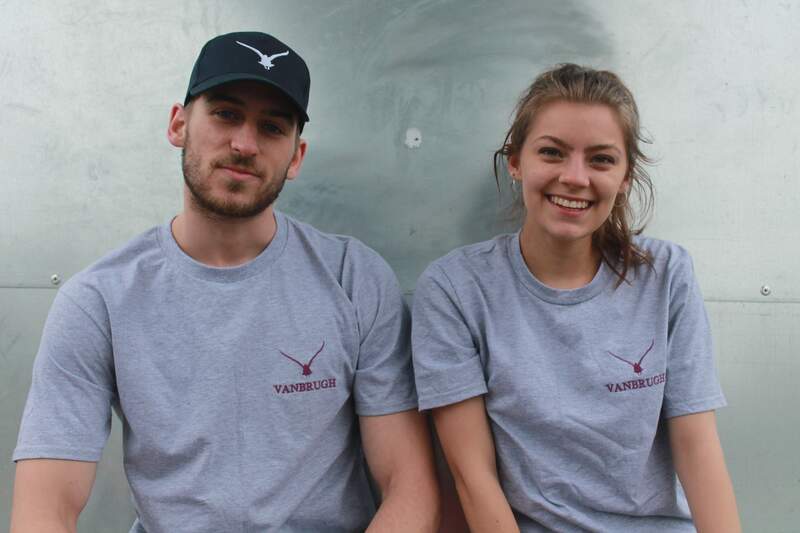 Here you can shop to your hearts content on the current and classic range of Vanbrugh Merchandise, as well as pick up tickets for upcoming events. A new addition to the merch collection and quickly becoming one of the most popular in Vanbrugh. A comfy grey crew neck sweatshirt with a new design printed over it. These sweatshirts will keep you warm and stylish through cold Yorkshire months. 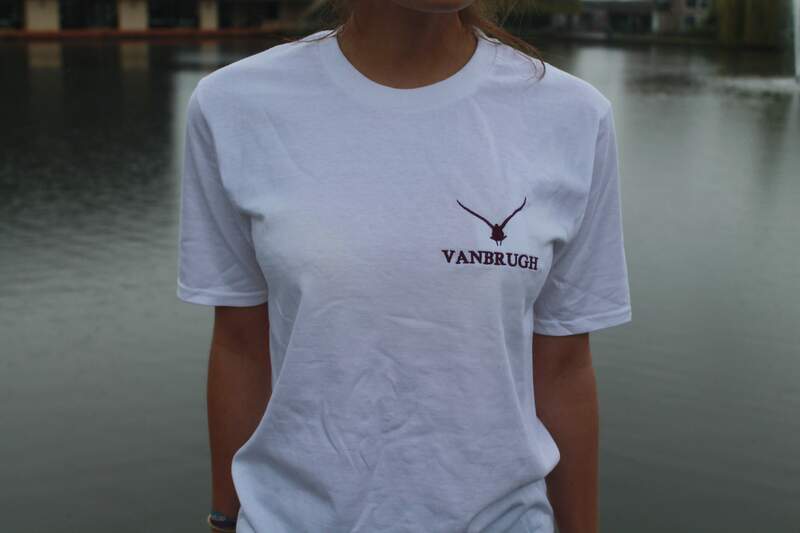 The tee is a Vanbrugh classic, available in grey, black and white or all-white. With a crew neck and short sleeves, this classic fit cotton tee is perfect for sporty and summer vibes. A casual dressing essential, the light tone complements your everyday outfit and will help to bring out the colour in your eyes. It even comes with Vanbrugh printed on the chest so you can boast to all your friends. Effortlessly mix and match with joggers or jeans (it’s hard to go wrong), or wear under a blazer for more formal occasions, such as lectures or society dinners. 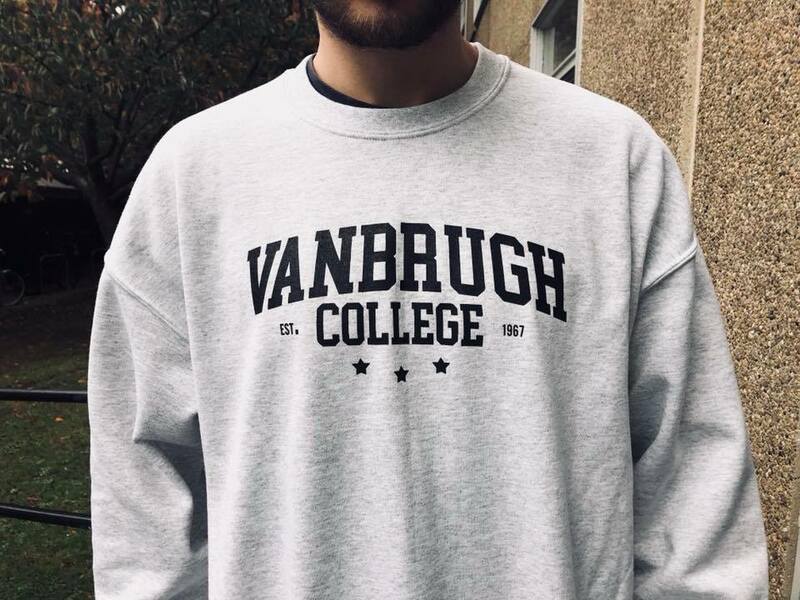 By far the most popular accessory in Vanbrugh, this timeless piece is both comfy and highly fashionable. 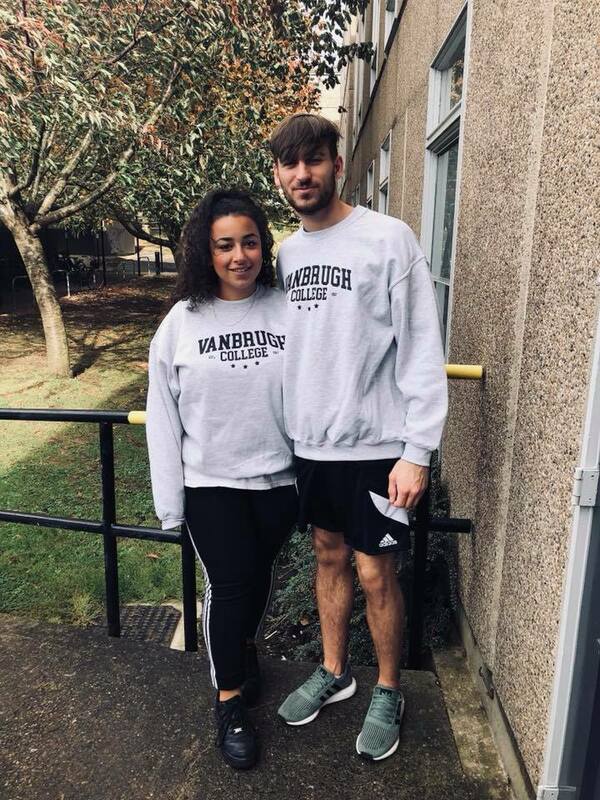 A simple, lightweight sweatshirt is a must in any wardrobe and the Vanbrugh Sweatshirt fits the bill perfectly. In a super soft, air spun yarn for a super-soft finish, it is weighted to keep you cosy throughout the day. 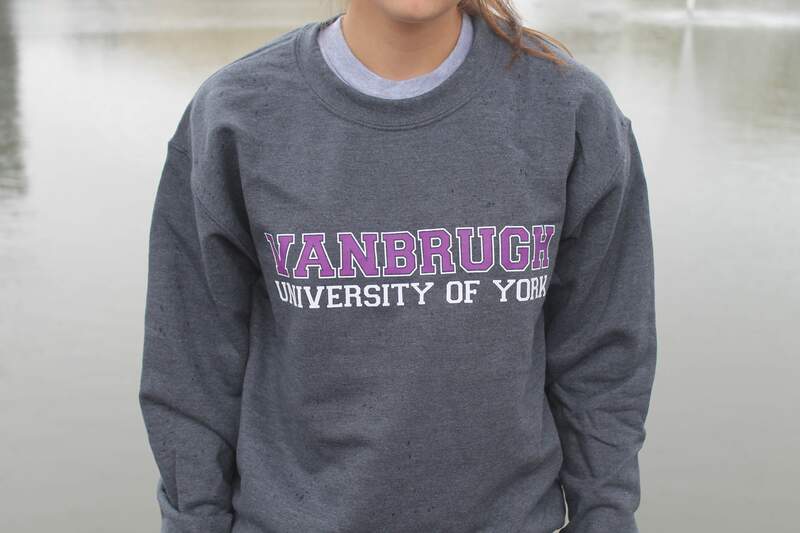 To keep the style stakes up there with comfort, the sweatshirt has had the college name printed in an imperial purple to impress all on lookers. Guiding us smoothly into transitional dressing, this will look just as great with sweatpants as it will with a white shirt and jeans, which is good because you’ll never want to be without it. A brand new edition to our college stash. We went all out in creating this magnificent item of clothing in celebration of the college’s 50th anniversary. Available in both black/purple and grey/white. 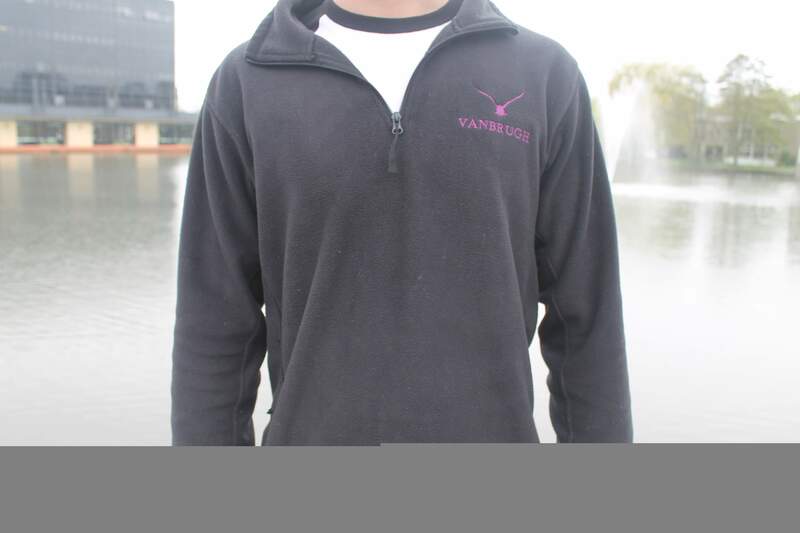 It is the most luxurious item you can buy for an incredibly reasonable price, and boasts features such as the classic 3/4 zip, two handy zip pockets, and our proud Vanbrugh bird logo on the left chest. This is sure to keep you cosy on your walk to lectures in the winter months! A baseball cap should be a permanent fixture in your accessory collection, on hand when it’s needed for hot days or to cover up what lies beneath at any time of year. 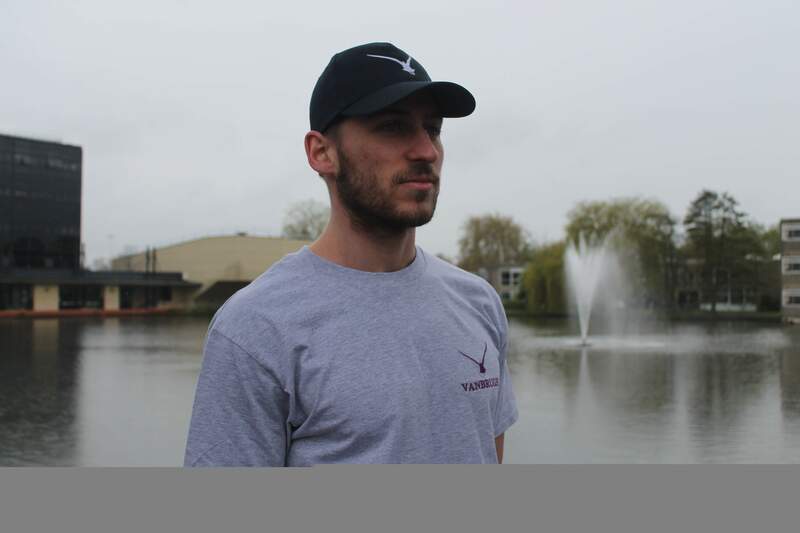 Available uniquely in navy with a embroidered bird slightly too large on the front, the Vanbrugh cap will be your go-to headwear essential, whenever you need it. The adjustable size and cotton construction will ensure comfort as well as off-duty cool. 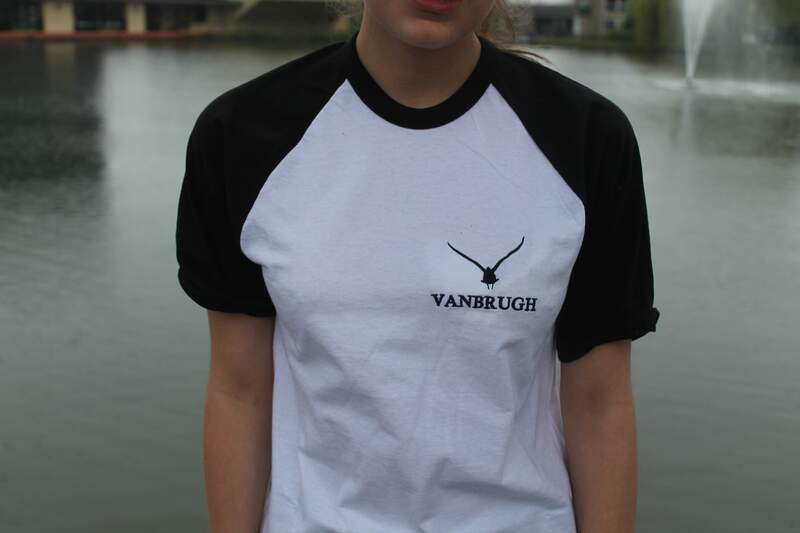 Never again will you have to shield your eyes with your hand, Vanbrugh has got you covered.